ISKCON is the factory of the pure devotees. All you have to do is to stay on. 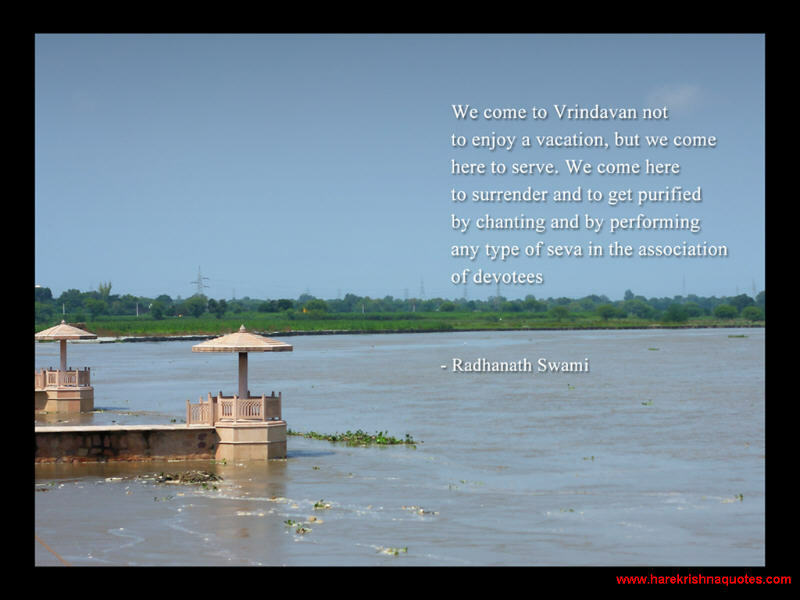 Our only concern is to remain in ISKCON and to associate with devotees. In the sun there is great heat and light, and by reflecting the greatness of the sun's light, the moon in night also appears great. 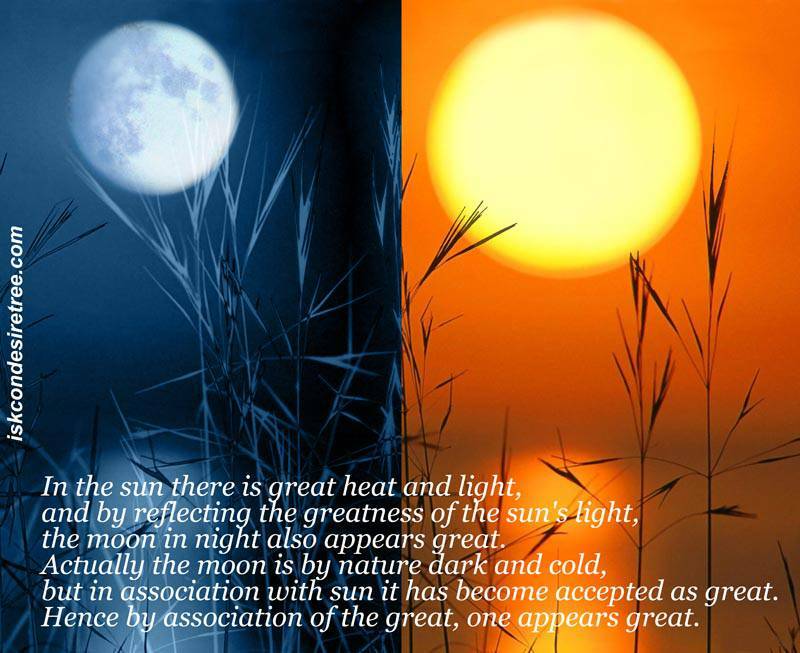 Actually the moon is by nature dark ans cold, but in association with sun it has become accepted as great. Hence by association of the Great, one appears great. Association is very important. 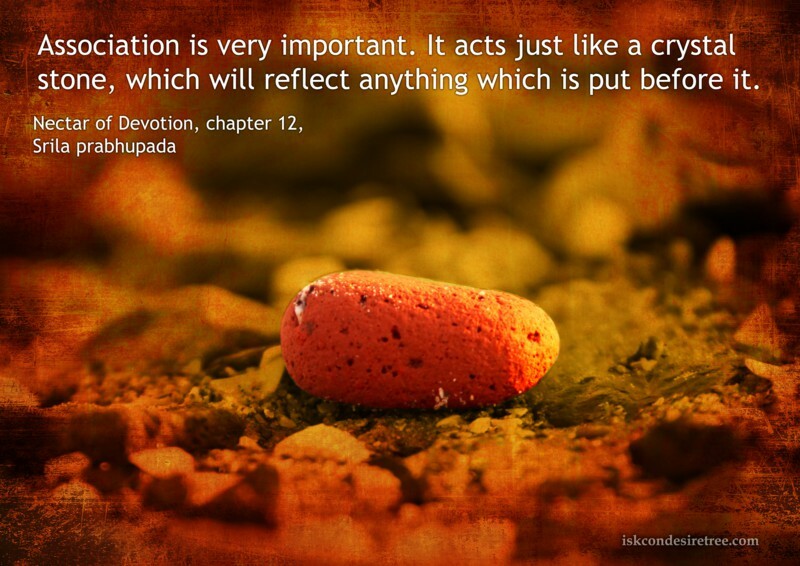 It acts just like a crystal stone, which will reflect anything which is put before it. Good association means association with one who simply accepts the Krishna as his worshipable deity.